Sometimes the simplest recipes are the tastiest and this is so true of these baked chicken legs. 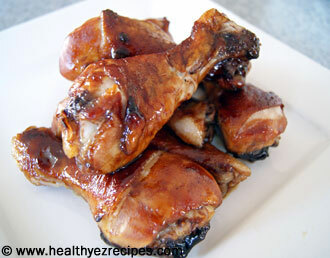 A simple honey based sauce coats the chicken legs in a beautiful sticky glaze. And even though you need to allow time for marinating, I still rate this a quick and easy dish to prepare. There’s nothing to it really. Mix the sauce ingredients, pour over the chicken and leave to marinate. Then you can be doing other things while the chicken is marinating and baking. 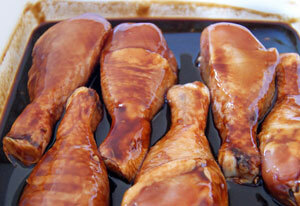 Made from various sauces and honey, the sauce has a full bodied flavor that gives the chicken a rich brown color. 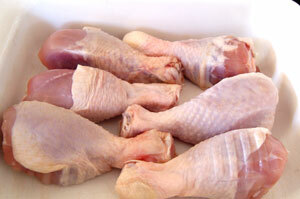 Place chicken legs in a large casserole dish, preferably one with a good fitting lid. Use a glass or pyrex dish, never plastic. Plastic tends to absorb strong flavors. 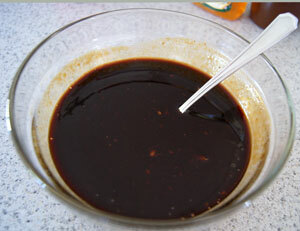 In a small bowl mix together the soy sauce, tomato sauce, honey, barbecue sauce and garlic. Pour the sauce over the chicken legs. Turn the legs in the sauce as you spoon the sauce over to make sure they have a really good covering of the marinade. Cover the casserole dish with a tight fitting lid, you don’t want the flavors filling the fridge. Leave in the fridge for at least 2 hours. Remember the longer you leave them to marinate the stronger the flavor. Preheat the oven to 180°C / 350°F. Place the chicken in the oven, and bake your chicken legs, uncovered, for 1 – 1 ¼ hours. Make sure your chicken is properly cooked. The time will depend on the size of the legs. The chicken is cooked when the juices run clear. A very easy recipe to make but you need to allow sufficient time for the marinating.